Sometimes when you see or hear a band for the first time, you just know. They were praised at SXSW and no wonder, their music is something else. The American roots are built in, to the very last particle of the sound. The vocals and of Jon, Charity and Josiah together with the rest of the band just exploding off stage, in that powerful feeling of love for what they do. It is breathtaking. In any way possible. It is ”up above” in a way not even the songs can explain. I know, it sounds like some being in love for the first time, but I am in love. This is something special. Something very rare. I had the pleasure of talking to both Jon and Charity that night, and the feeling just kept going. These are persons that just make great stuff, for the love of it. 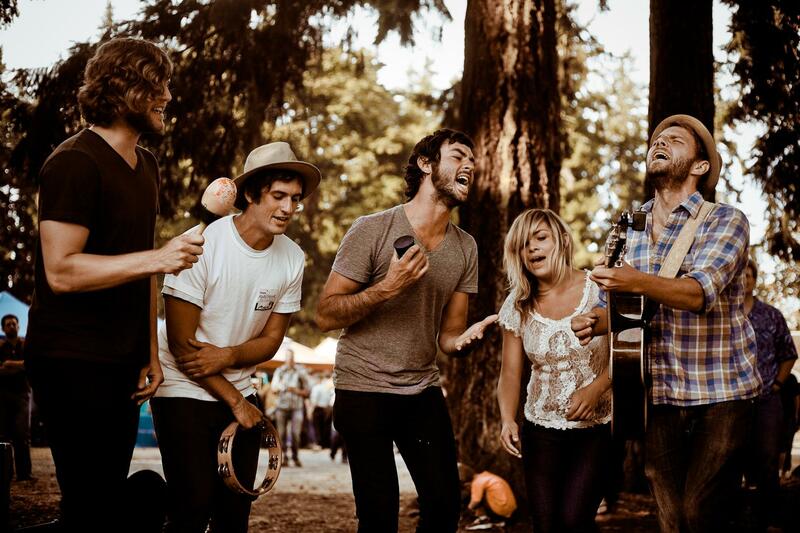 The Head and The Heart will release their debut album on Heavenly Records in Europe (Subpop US) and for those of you who haven’t met them yet, I suggest you pick that album up. On April 18. Currently touring with The Low Anthem, if they are heading your way, make sure to hold a ticket. If you wanna fall head over heels, just like I did, just get on that first date, by listening to the song below. And hopefully, you will hit it off. This entry was posted on tisdag, april 5th, 2011 at 23:52and is filed under . You can follow any responses to this entry through the RSS 2.0 feed. You can leave a response, or trackback from your own site.